Easy to install on my f150, plugs right in. The low beam was HID and the high beam was halogen, but no big deal i never use my high beam. looks great at night and i can for sure see better. 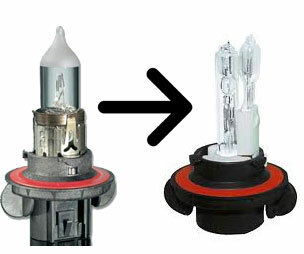 Our standard H13 bulb kit includes low beam HID and high beam Halogen. These bulbs are dual filament from factory, with our kit you will not loose your high beam function.